From October 31 to November 2, many people in Latin America will be out in full force celebrating the Día de los Muertos (“Day of the Dead” in English). The Día de los Muertos is celebrated throughout many Central and South American countries, but most widely in Mexico. And of course, wherever there is a large Latino presence, this important holiday will also be celebrated, which means that there will be many expressions of this holiday taking place all across the United States as well. While the Día de los Muertos is a day full of festivities, it is not just a day for fun. Rather this ancient historic holiday is full of spiritual meaning for those who celebrate it. It is traditionally considered a day for remembering and communicating with relatives who have passed from this life. Thus it is often celebrated by the construction of small altars and the giving of offerings (flowers, foods, beverages) on these altars, as well as the offering of prayers on behalf of the deceased. The Día de los Muertos traces its roots back to the religious traditions of many indigenous Mexican cultures, including the Nahuatl, Totonac, Zapotec, Aztec and Anáhuac peoples. One example of the religious beliefs surrounding death is that of the Anahuác, who celebrated the feast of Miccailhuiltontli during their ninth month (around our July/August time). In a ritual, they honored dead children and prayed that children still living would be protected from the hail that would soon come through, often leaving devastating effects in its wake. Several months later, there would be a solemn three-day feast, followed by a playful celebration, which was all held in honor of dead adults. All these celebrations were centered around complex belief systems regarding spirits and the afterlife; included in most of these groups' beliefs was the idea that the dead (or the vast majority of them) went to reside in a place called Mictlán, in the northern Nahuatl area. The modern Día de los Muertos is strongly influenced by the deep-rooted history of indigenous religions and their beliefs and traditions surrounding death and the afterlife. The Día de los Muertos is full of traditions. Since many believe that their deceased ancestors return to visit on this day, there are a lot of preparations made for this visit. Relatives will clean up the grave site of the deceased. 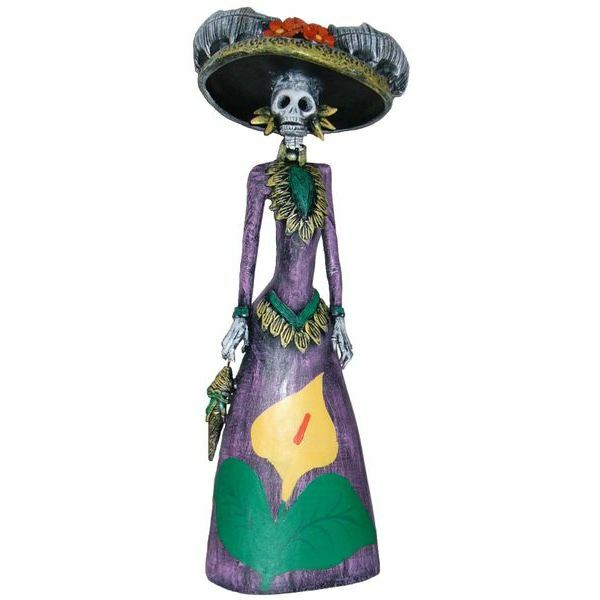 At home, they will decorate with skeletons, papel picado (paper cutouts), and candles. 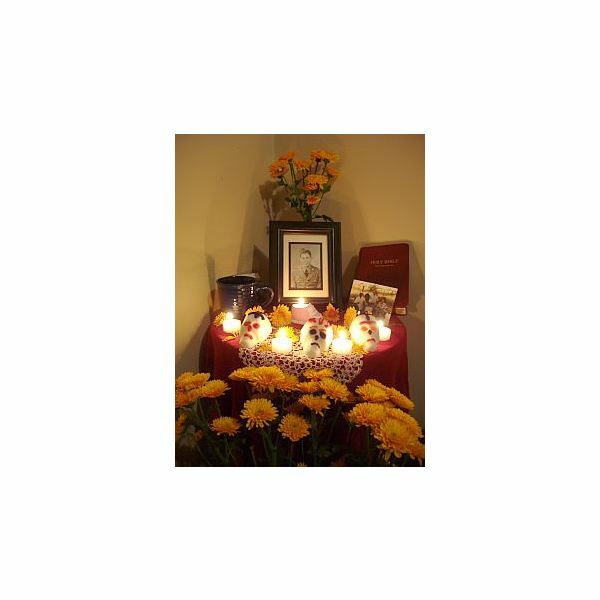 The table altars that are erected in people's homes will often be adorned by a cross, a picture of Mary and various candles. The traditional decorations in the celebration of the Day of the Dead represent the blending of indigenous beliefs and the Roman Catholic faith that became prominent in Mexico. Pan de muerto (bread of death) is a traditional food for this holiday. People may also have sugar skulls and other various treats and special foods. While the holiday is somewhat morbid, it is not a somber day. People remember the favorite foods and drinks of the deceased, and they will serve these foods–not only as an offering for those who have died, but also as special food for those doing the celebrations! In different parts of Mexico, the Día de los Muertos is celebrated in many different ways. In some areas, people will spend the morning enjoying a meal at the grave of the deceased, which is decorated with marigolds and candles. In most places, there will be calaveras, satirical verses, written in memory of the dead. Catrinas, skeletons dressed in 19th century female garb, represent death–which any of us may meet anywhere and at any time. In the cultural and religious systems of the various groups of people in Mexico, the Día de los Muertos is one of the most important and meaningful holidays of the year. In its many celebrations, festivities and traditions, it represents a profound mix of beliefs and elements of history that have been passed down through the centuries and continue to influence the present generation. Learn some special vocabulary for the Día de los Muertos.